Our team at Jim Bryan Safes provide and install floor safes under a house’s substructure. They are made of heavy duty steel and keep your valuables protected, built to last for a lifetime! 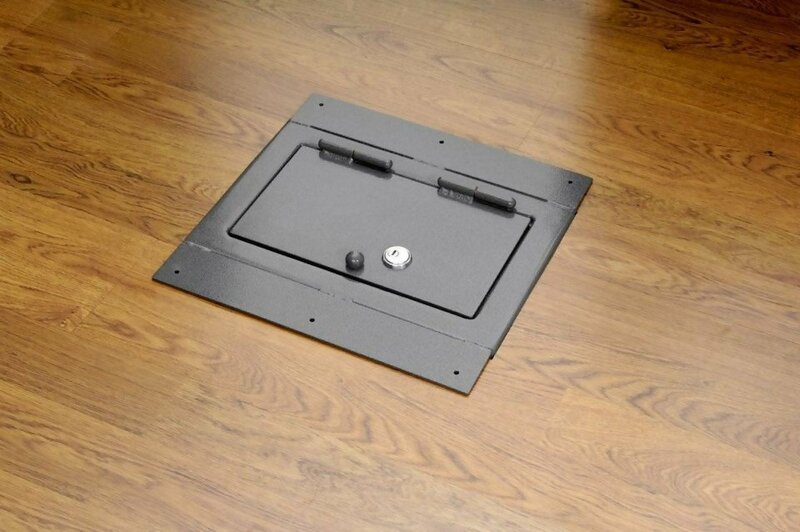 A floor safe also known as floor vault which is a type of safe that is placed or fixed firmly underneath concrete ground. They are built to store valuables like important documents, passports, jewelry or anything you would like to keep protected. They are always hidden underneath and constructed with steel to protect you precious valuables from burglary attacks, fire, and water disasters. It is highly recommend to hire a licensed and certified safe company to purchase, install & deliver the best home safe or commercial safe. Please call Jim Bryan Safes at 305-321-3118 or email fourbryans@aol.com for a free estimate. Ensuring maximum security of one’s personal items and valuables require a proper installation of your hidden safes or vaults. 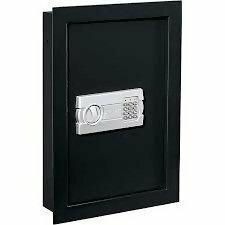 A great advantage of installing a this type of safe in your home or commercial business is that it does not occupy extra space in a room. These floor vaults or safes are usually kept hidden under carpets, rugs, floor panels, and other ground features. Locate a secret location on the floor that is not noticeable and can be easily accessed. Start measuring the position for the safe installation process. Measurements should be carefully taken to avoid enlarging the hole needed to place the vault. Drill into the floor and dig out a hole that is 6” inches larger than the depth of the safe. Then partially fill in that hole with about 5” inches of concrete cement and allow it to set. After filling in the hole with concrete mixture we pour about 1.25”-1.5” inches of fine sand or gravel onto the bottom layer of the concrete. Note: Steer clear of plumbing, pvc pipes, or electrical wirings. Place the floor safe or vault in the center of the hole. Make sure that the floor safe is positioned perfectly. Take extreme caution to ensure that the slab or bottom layer of the concrete is hard enough to hold or support the weight of the vault. We use water-proof floor safes because in most cases, the bottom layers or below the floor level of a home or commercial building and can be moist and damp. Wall safes are used to protect personal items. They are usually placed between wall studs, spacing 16″ inches apart on the center. Wall safes can either be water or fire resistant. However, we recommend using a fireproof wall safe because it fully protects your valuables from fire emergencies. They come with anchor tongues which make them difficult to remove. They are mainly installed in a concrete wall and built to keep valuables like birth certificates, cash, and personal documents. A great way to hide valuables in a secure place is by getting a wall safe installed. There are a few steps to follow which would later lead to a properly installed wall safe. However, one needs to prepare for the project first before taking further actions. Most homes are constructed with two-by-fours (44 x 94 mm) and spaced 16” inches (40.5) apart. This means that the wall safe or vault must fit in that given space perfectly. Purchase a wall safe that has a width of 40.5cm which is less than 16 inches and also with a depth of 3.5 inches (9cm). Choosing a fire-resistant wall safe would be the right choice. Fireproof wall safes help to protect important documents like birth certificates or office papers in an event of fire disasters. However, one can still pick the water-resistant wall safes because of unexpected cases like broken pipelines or flood. Decide on the type of control feature that would work fine and be sure not to make it easily accessible by guests. -100% protection against burglary attacks. Locate the right location to install the wall vault. Note: It is highly advisable to hire a licensed and professional safe company to install floor safes or vaults correctly. Please call 305-321-3118 or email fourbryans@aol.com for a free estimate. Consult with the Best Hidden Safe Expert Today!